The overall goal of digitalization is business growth, but firms are trying to deliver benefits for clients, advisors, and the business. London, 12 October 2016 – The inherent need for digital wealth management capabilities and processes is now very well-recognized: The pace of engagement in the topic has risen, adoption is rising, and the depth of understanding around what digitalization involves has grown. Whether in supporting advisors, enabling clients, driving greater efficiencies within the organization, or fundamentally changing the business for the future, it is accepted that the broad opportunity from digitalization will increasingly sit at the core of the wealth management business model. What exactly does that model look like, and how close will it remain to today’s business model? This Impact Report is focused on understanding the core building blocks that leading wealth management organizations have in place, or are seeking to deliver, as part of the digitalization of their businesses. 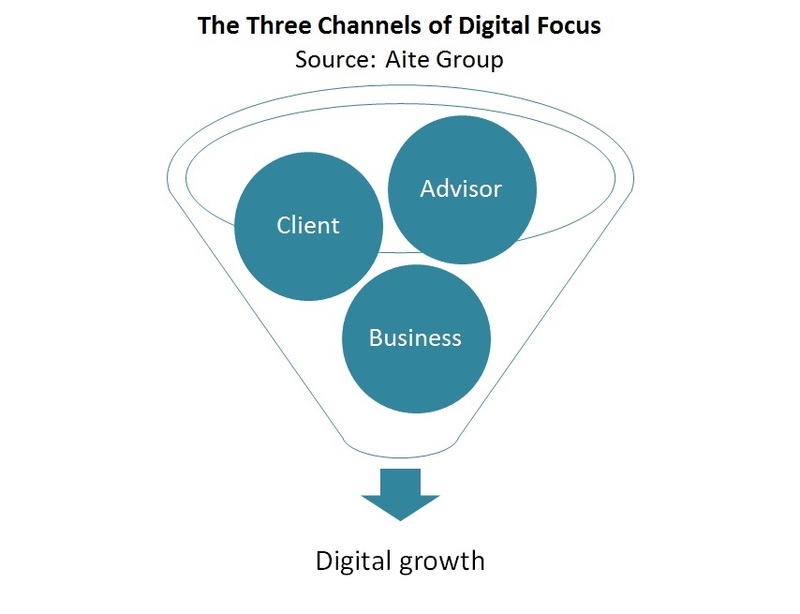 In March and April 2016, Aite Group conducted face-to-face and telephone-based meetings with strategy and technology executives from 17 of the world’s leading wealth management organizations. Aite Group also partnered with Swiss technology firm Appway to understand in more detail the building blocks of digitalization. This 24-page Impact Report contains seven figures and one table. Clients of Aite Group’s Wealth Management service can download this report, the corresponding charts, and the Executive Impact Deck.